Dragons, Giraffes and Solar Power! Having installed solar panels for over 36 years we have customers all over the UK who work in wide ranging industries. We’re always proud to support them and as experts in the solar field are interested to learn about their levels of expertise. When one of our engineers visited long-standing customers David and Wendy Pryce-Jones he was fascinated by their own business The Glassblobbery Studio and Gallery. 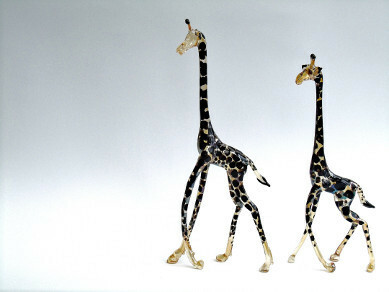 Located in Corwen, North Wales, they hand make beautiful glass pieces from dragons to giraffes (our personal favourite)! I think you’ll agree from the photographs below they are exquisite. 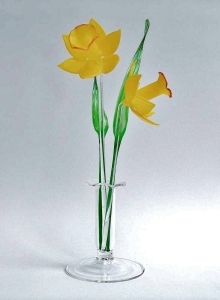 Each glass piece is made within the narrow confines of an over 2,000°C flame area. 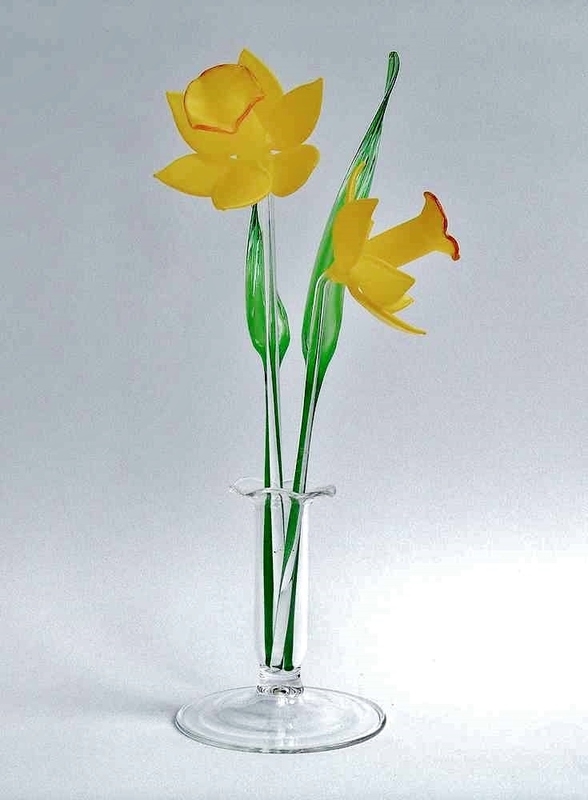 Glass rods, which come in varying thicknesses, are then used to create the shape of the item being created. 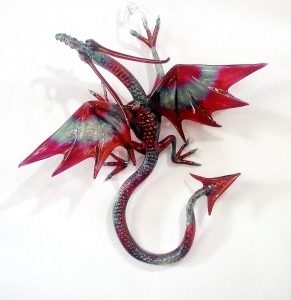 After this has been completed the piece is fired in the kiln and taken to the staining room for colouring. Blends of metal oxides and enamels are applied to the surface which, after firing, create the lovely colours we can see on the finished articles. 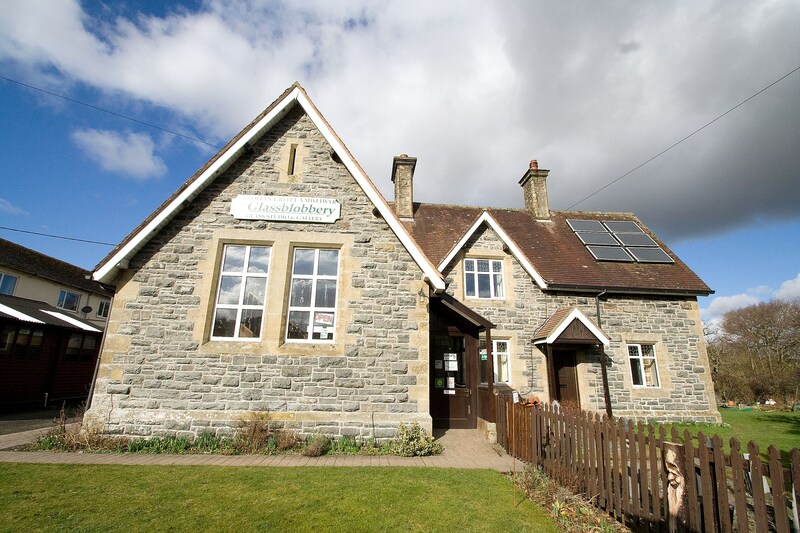 David and Wendy opened the Glassblobbery to the public in 1993 following years of training. David studied Fine Art at Stourbridge College which had a glass department and Wendy is a glass stainer with a degree in textile design from Kidderminster College of Art. Both David and Wendy support other craftspeople and have a selection of wood, ceramic and slate pieces in addition to a range of sculptures and object d’art in their upstairs gallery. So if you’re ever in the North Wales area we’d recommend a visit! You can visit their website www.glassblobbery.com to find out more. Thank you to David and Wendy for letting us share your story and for your continued support since 1991 when your Sunuser solar thermal system was installed.